From time to time, we honor individuals whose outstanding professional accomplishments and volunteer services have contributed to the success and reputation of Misericordia University. The Mother Mary Catherine McGann Alumni Achievement Award shall be awarded to a Misericordia University graduate for distinguished and sustained career accomplishments. The Hilda Staub Garey Award shall be awarded to a Misericordia University graduate for extraordinary service to the University or the Misericordia University Alumni Association. The Sisters of Mercy Award shall be awarded to a Sister of Mercy who has rendered exceptional service to the University and/or has demonstrated and sustained professional achievements. The Alumni Medallion Award shall be awarded annually during Alumni Weekend to recognize anniversary class members who have demonstrated: (1) outstanding community service; (2) commitment to the strengthening of family life, or; (3) distinguished professional contributions. 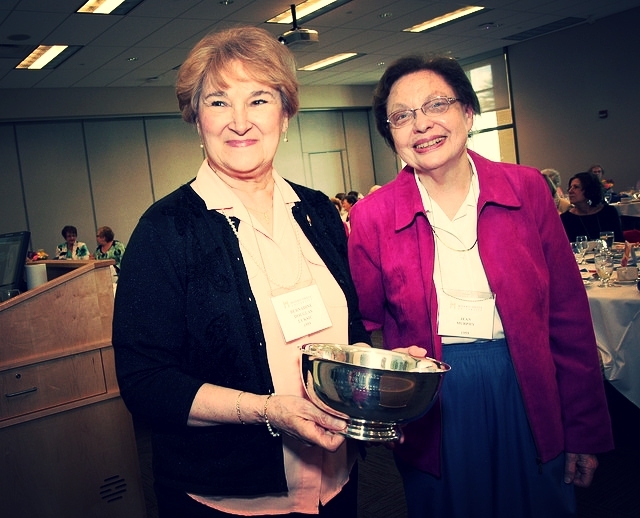 The Mission Award will be given to an alumna/us who exemplifies the Mission as set forth by the Sisters of Mercy. The recipient will dedicate the award to a Sister or faculty member who most influenced her/him during her/his years at Misericordia. The Young Alumna/Alumnus Award shall be awarded, from time to time, to a traditional undergraduate alumna or alumnus who has graduated within the past ten (10) years and who demonstrated outstanding professional achievements and/or community or civic service. Click here to submit a nomination for any of the awards listed above. *Thank you for your participation, you may nominate any time throughout the year. All nominations will be considered for future awards. Each year, during Homecoming Weekend, Misericordia recognizes individual alumni for their athletic achievements or contributions to Misericordia University athletics. The selection committee considers any factors it deems relevant, including but not necessarily limited to, athletic ability, integrity, sportsmanship, character, distinguished service and/or outstanding contributions to Misericordia University athletics. Nominated athletes or individuals must have completed their Misericordia University experience at least 10 years ago to be eligible. Nominations for the Hall of Fame are due annually by June 1 to be considered for induction during Homecoming Weekend. Nominate a classmate for the Athletics Hall of Fame., or view past inductees here.